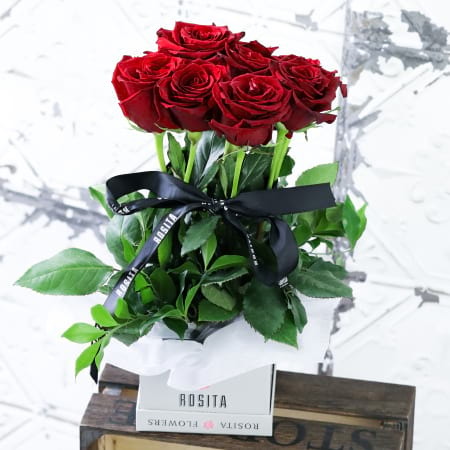 Amaze your cherished one with our Premium Colombian Roses, carefully composed in our square hatbox. A truly Divine gift for those that love roses and romantic gestures. "The red rose is an unmistakable expression of love"